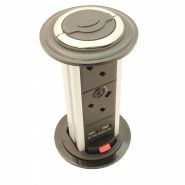 The Vertical In Desk Power Dock is a grommet style pop-up power and data unit, which is fitted into the desk. 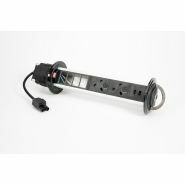 When not in use, almost all of the Power Dock is stowed below the desk surface, and when in use all you need to do is pull the unit up with the metal handles until it locks itself in position. 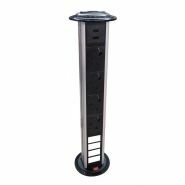 The Power Dock is easy to install and retrofittable, and the data cut-outs allow the customer to terimate their own data/AV points. 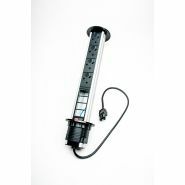 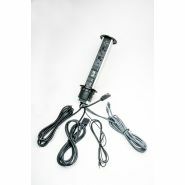 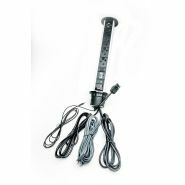 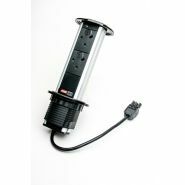 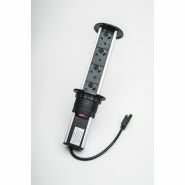 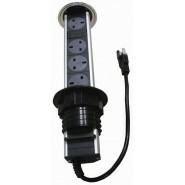 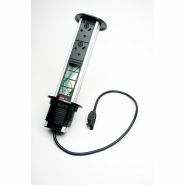 The 3 pole connector gives the oppurtunity to customise your length of PowerData Start lead, or alternatively daisy chain the unit with a Underdesk Power Unit.